Manchester United manager Jose Mourinho has recalled the phone call that resulted in one of this summer’s most significant Premier League transfer moves. The Red Devils completed a surprise deal to sign Nemanja Matic from Mourinho’s old club Chelsea – a decision that has hugely benefited the Portuguese in his hunt for Premier League glory. Conte, meanwhile, has really missed Matic since his departure, with a combination of injuries in midfield and a lack of form from summer signing Tiemoue Bakayoko resulting in a poor start at Stamford Bridge. Many pundits have questioned why Chelsea let Matic go, with the move simultaneously weakening their title hopes and strengthening those of one of their biggest rivals. 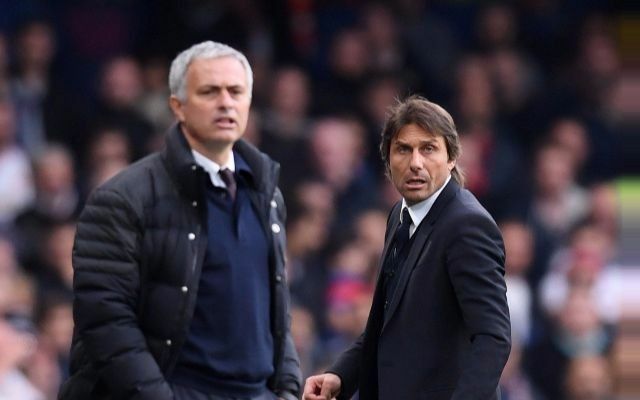 It is not often that two title rivals sell key players to each other, and Mourinho admitted he was surprised to get the chance to sign Matic when he got a phone call from his agent in the summer. ‘I was surprised when (Matic’s) agent called me to say “do you want him?”‘ Mourinho told Sky Sports. ‘I was surprised, but he’s an agent I know well. Normally he’s very direct and objective, he doesn’t waste time, he doesn’t try to get people to be interested in his players to improve their situation at their club. Just to rub it in for Chelsea fans, they’ll also be up against former Blues stars Romelu Lukaku and Juan Mata this weekend – two players who have shone since also being inexplicably allowed to leave Stamford Bridge earlier in their careers.